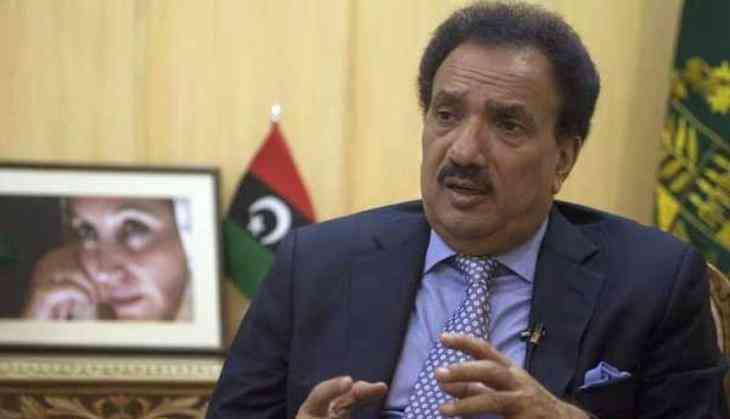 Rehman Malik, Pakistan's former interior minister has accused India's intelligence agency Research and Analysis Wing (RAW) for paying CIA contractor Raymond Davis to write the book, 'The Contractor', in order to malign Pakistan's army and democratic institutions. PPP Senator Malik has urged the nation not to fall prey to Indian conspiracies and not to project Davis as a hero. "He is nothing but an agent to the RAW," he claimed. "I have documentary proof that Davis was approached by Indian agency RAW's Additional Secretary Jagnathan Kumar for writing the book The Contractor in order to malign Pakistan's premier agency ISI, the Pakistan military and the civilian leadership," he said. Malik termed CIA contractor Raymond Davis's book, 'The Contractor', a pack of lies. Raymond Allen Davis is a former United States Army soldier, private security firm employee, and contractor with the Central Intelligence Agency (CIA). On January 27, 2011, Davis killed two reportedly armed men in Lahore, Pakistan. The U.S. government argued that he was protected by diplomatic immunity, but Davis was jailed and criminally charged by Pakistani authorities with double murder and Malik was then the interior minister in 2011 when Davis was acquitted of shooting two people in Lahore. Pakistan freed the CIA contractor after a deal was sealed to pay $2.34 million in "blood money" to the men's families. After six years, Davis's book prompted Malik to issue a detailed statement on Thursday regarding so far undisclosed developments that had unfolded in the aftermath of Davis's arrest. Malik claimed that the Pakistan Peoples Party (PPP) government and the military establishment had decided not to release Davis till he was acquitted by a court of law and Davis had been placed on the Exit Control List immediately. "A high-level meeting had decided that neither would Davis be deported nor would he be granted diplomatic immunity, and that we would wait for the decision of the court in the matter and no action would be taken through any executive order," he said. He said that later in a meeting at the President House, the then Inter-Services Intelligence director general, Gen Shuja Pasha, had told the political leadership that the Americans wanted to exercise the right of Diyat (blood money) under Islamic law. "The matter was dealt with the cooperation of the Punjab government, the Ministry of Foreign Affairs and the Ministry of Interior," he said. On March 16, 2011, Davis was released after the families of the two killed men were paid $2.4 million in diyya or blood money. In his book, Davis has claimed that General Shuja Pasha played a significant role in pushing for diplomatic immunity . But Malik defended Inter-Services Intelligence (ISI) director general,saying "No such role was played by the then ISI DG in the release of Raymond Davis, as claimed in his controversial book." Malik even claimed that after returning to the US, Davis was facing hard times and had attempted suicide several times. "Only last year, Raymond Davis was under a huge debt of $700,000 and his wife Rebecca has taken separation from him. Due to his miserable financial condition, he became an easy prey and was sponsored by RAW and the book was written through a ghostwriter." Malik said that how an impoverished Davis can circulate a free PDF version of his book on the internet and via WhatsApp. When asked that Pakistan Tehreek-i-Insaf general secretary Shah Mehmood Qureshi, the then foreign minister, had claimed that he had resigned from the ministry on the issue of immunity granted to Davis. Malik said: "I would like to clarify that nobody wanted to give immunity to the U.S. spy as claimed by Qureshi and that he never resigned from the ministry over the issue of Raymond Davis.Prime Minister Gilani had dissolved the cabinet on Feb 9, 2011, to reshuffle and Qureshi was offered the portfolio of Ministry of Water & Power or Agriculture...in the presence of other cabinet members, he had resented and walked out insisting that he wanted to be foreign minister." He said Qureshi had left the political party due to his own political gripes eight months after Davis's acquittal. The former interior ministry also revealed that back then he had been approached by Dr Fozia Siddiqui, sister of detained Afia Siddiqui, who had proposed that government consider an exchange of her sister with Davis. "It was a good idea to get Siddiqui back to Pakistan, subject to the clearance of the court," he added. "I had earlier gotten her two sons recovered from Afghanistan and handed them over to her family," the Dawn reported.